What is the best Sun Peaks lodging for you? While we certainly recommend our Best Sun Peaks condo and Best Sun Peaks townhouse, lodging at Sun Peaks Resort consists of a number of small Sun Peaks hotels that make-up the village core, Sun Peaks vacation rentals such as townhouses, condos and chalets, and executive/luxury condos, townhouses and single family houses. The best type of Sun Peaks accommodation for your Best Sun Peaks Vacation really depends on your family or group needs and your budget. Most families, either by themselves or combined with a second family, love the spacious 2, 2+loft, 3 or 4 bedroom condos and townhouses just outside of the village core. Most are ski-in and ski-out and truly are wonderful home-away-from home rental properties. And if you're single or don't mind a little extra noise but still want to be in a great central location, check out our list of preferred Sun Peaks hotels and lodges. You can also enjoy the many summer activities at Sun Peaks and stay in your trailer or RV with on-site or nearby Sun Peaks camping sites. Click to see our some Sun Peaks rental accommodation options where we may be able to offer you a Best Sun Peaks discount. Your Best Sun Peaks Lodging awaits. And if you have stayed somewhere in Sun Peaks before and loved it, please let us know by completing and submitting the form at the bottom of the page. 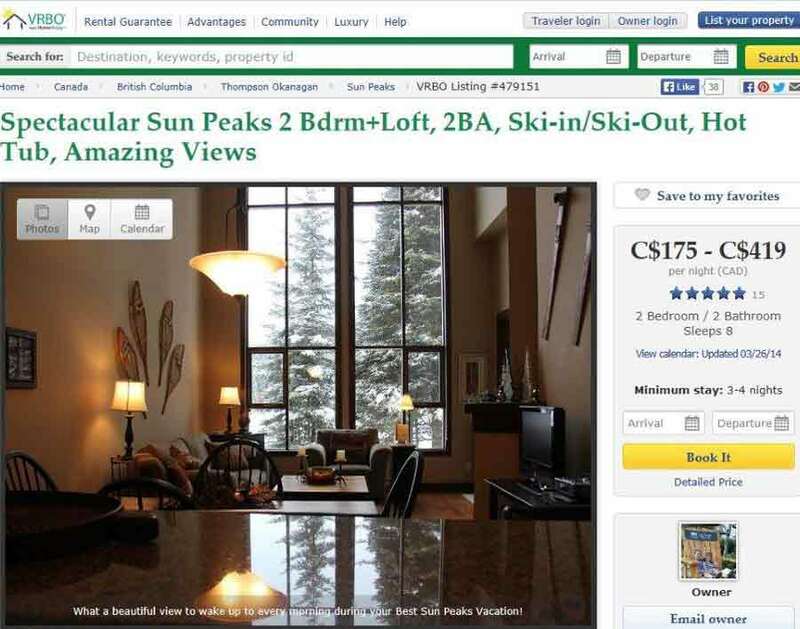 Most Sun Peaks vacation rental units are available for rent through the easy to use, well-known and trusted VRBO (Vacation Rentals By Owners) or AirBnB websites or through management companies. But their booking fees keep on increasing so more and more travelers are contacting the vacation rental properties directly to get the best rates. Please note that effective February 2016, VRBO started charging guests an additional Service fee. You can save up to 10% by booking directly with us for our Best Sun Peaks condo, BestSunPeaks townhouse, other owner vacation rental properties, or through our Top of The Mountain accommodation link. 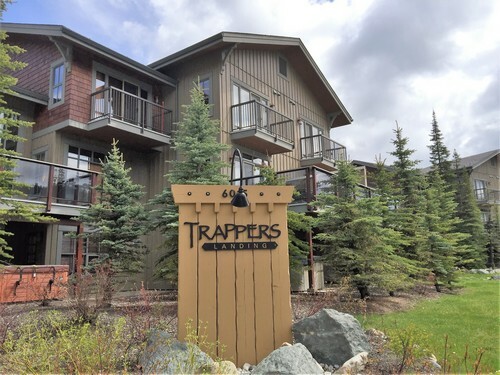 Smaller families, couples and singles may prefer to be a little closer to the village action, and will book one of the best Sun Peaks studio, 1, 2 or even 3 bedroom hotel style units closer to the village. The hotels are either owned by the resort or managed by the resort or a management company with others owning the units, and bookings are directly through the Sun Peaks Hotel online booking service or their own website (See our best hotels and lodges page for links) or discount online service. Contact us and let us know about your favorite Sun Peaks Lodging. Or how about buying your own Sun Peak Real Estate like we did? It may still be a good time to buy Sun Peaks real estate!! Once you have your Sun Peaks accommodation booked, you might want to consider arranging for an in-suite massage or gourmet, Sun Peaks catered dinner party. 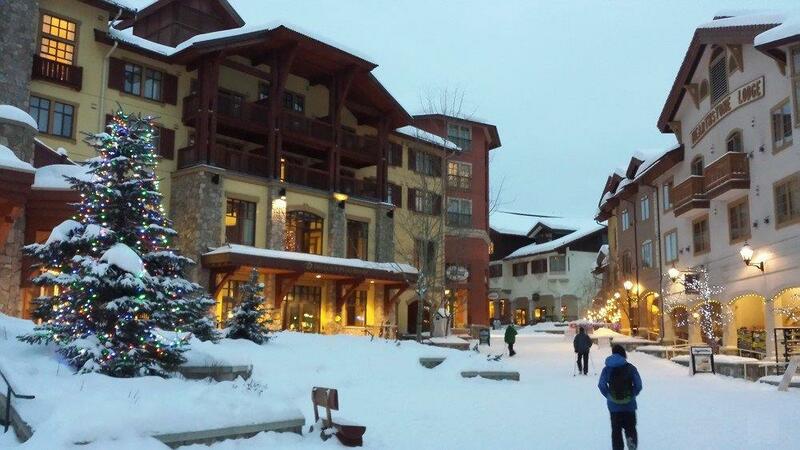 Wherever you reserve for your stay, Sun Peaks is set up as a very pedestrian friendly, ski-through village where you can generally park your car when you arrive, and then get wherever you need by either skiing, walking along the lit pathway or taking the free village shuttle which runs during the winter season. The furthest Sun Peaks condos, townhouses and executive houses are only about a 10 - 15 minute leisurely walk to the village. 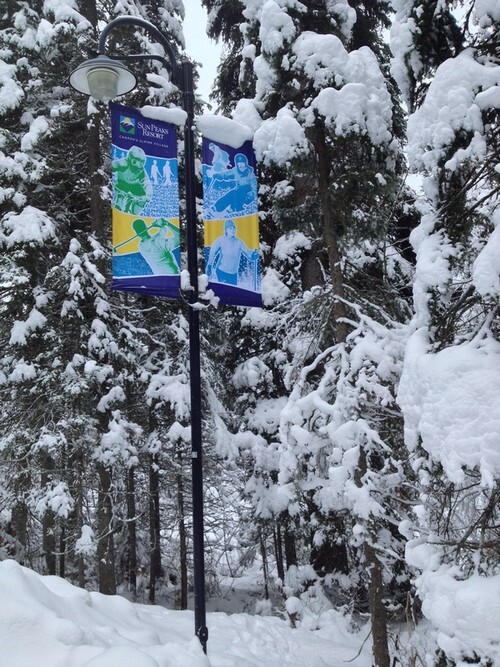 Some even back directly onto the Sun Peaks Resort Golf Courses - highest elevation course in BC! And you will find that once you are settled in your Sun Peaks lodging, the ski-in and ski-out nature of the resort and the network of pathways make getting around a relaxing pleasure. And don't hesitate to smile and wave as you walk past others enjoying their stroll, and don't be surprised when someone says hello first - it is so fun and friendly here at Sun Peaks!